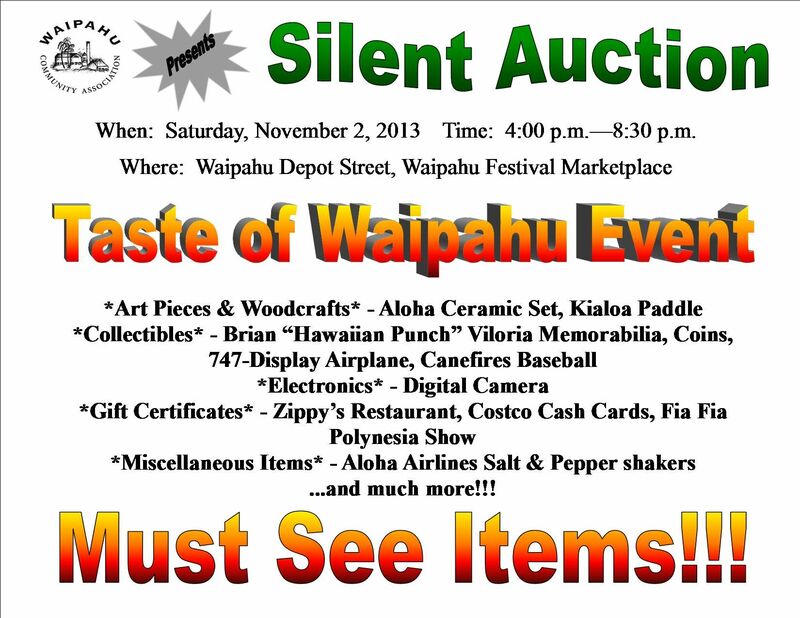 Featuring something new this year, Waipahu Community Association is hosting a Silent Auction at the Taste of Waipahu on Saturday, November 2, 2013. The silent auction will be from 4:00pm – 8:30 pm at the Waipahu Festival Marketplace. Be there to put in your bids. Proceeds will benefit the Waipahu Community Association in supporting it’s Projects, Programs and Activities.